Plunge into the past for a rousing romp through Edo period Japan! Your ideal samurai town awaits you! Erect houses, castles, and all manner of medieval marvels with a touch of the finger--rewriting the pages of history as you see fit! Strategically place compatible buildings to make "combos,&qu... see more Plunge into the past for a rousing romp through Edo period Japan! 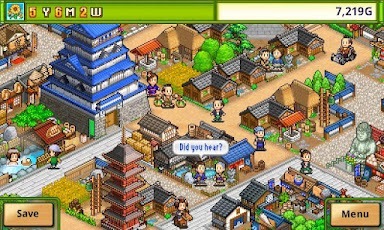 Your ideal samurai town awaits you!